Steve’s breakdown: We say that because SodaStream has already started the review and getting in will take some fancy footwork. So check those social media contacts and see if you have an “in”. MOUNT LAUREL, NJ: SodaStream, the maker of home soda-making machines, is thirsty for a new creative agency in the U.S. The review, already in progress, is expected to conclude in December. It comes as SodaStream is in the process of being acquired by PepsiCo for $3.2 billion, a deal announced in August. Avidan Strategies is conducting the review, according to multiple people familiar with the matter. Avidan referred comment to the client. SodaStream did not respond to requests for comment. 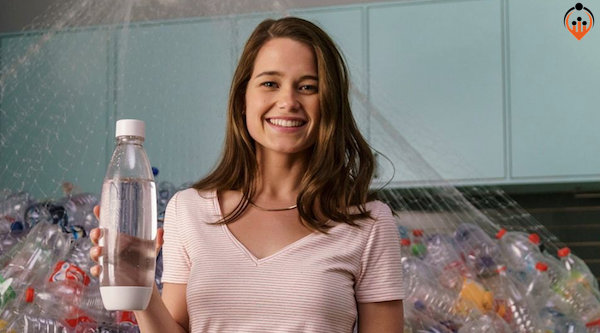 In December 2016, SodaStream tapped longtime partner Allenby Concept House as its first global creative agency of record. The agency shared a post on its website after SodaStream’s acquisition news, saying that “we at Allenby were a key part of changing the company’s strategy toward a green and healthy direction that eventually led to this historic deal.” An agency spokesman said the shop worked with SodaStream for seven years but the relationship ended several months ago. But the two companies have an interesting history: In 2013, SodaStream made a Super Bowl ad that CBS rejected—the spot was set to show delivery drivers in Coca-Cola and Pepsi clothing and exploding bottles from both brands to dramatize the environmental pitch that SodaStream could have “saved 500 million bottles on game day alone.” A different ad that didn’t show brands but did show exploding soda bottles ran during that year’s game. Both spots were collaborations between Alex Bogusky and the creative team at Pale Dot Voyage and Octopus of Mind. SodaStream returned to the Super Bowl in 2014 with a spot featuring Scarlett Johansson, but a similar situation transpired after the original version of the spot called out Coke and Pepsi. SodaStream reportedly recently tapped Maurice Herrera as head of U.S. marketing, a position he cites in his LinkedIn profile. Herrera had formerly helmed marketing for Weight Watchers (now WW).